This Business Rule will trigger a predefined action (create, move, update, send a notification, call web service) whenever the WIP limit in a predefined set of columns/cells is exceeded. Selecting a lane adds all the cells in that lane to the set. 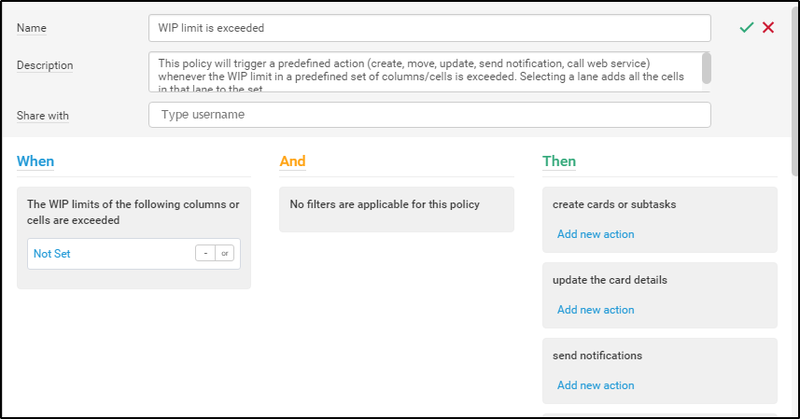 Only users with "Account Owners" or "Manage Business Rules" privileges can create and business rules. Go to your Administration panel at the top right of your screen ->open the Business Rules tab -> select the WIP limit is exceeded rule. Practical tip: When the WIP Limit of position "X" on board "Y" is exceeded-> set a color of the card. 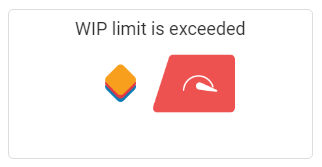 3) Send notifications: The system will notify a user of your choice when the WIP limit is exceeded. 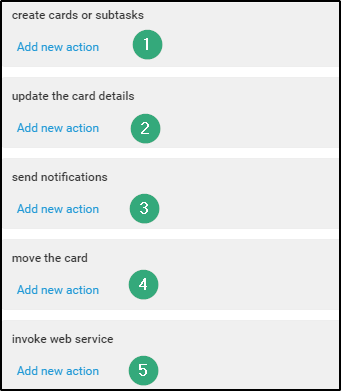 Create a template for the notification, which is to be sent and click on Save Message. The subject of the notification email contains by default: the text "WIP limit exceeded by card" and the card ID. 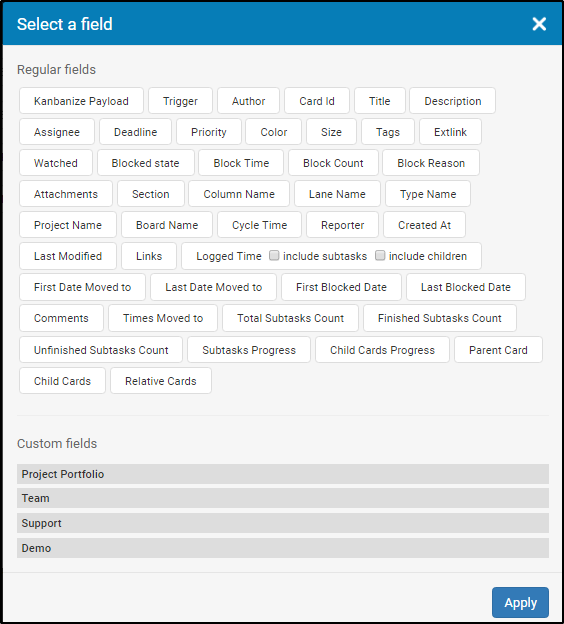 You can modify the title by clicking on "add card fields" and select your preferred field/s or you can remove all fields and write a custom title. 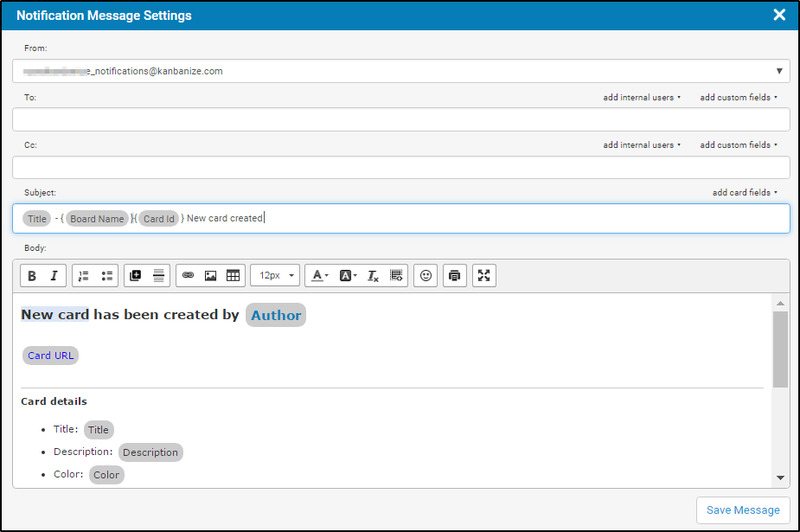 Practical tip: When the WIP limit for the position "X" on board "Y" is exceeded-> the system will automatically send an email notifying a user (e.g Workspace Manager). 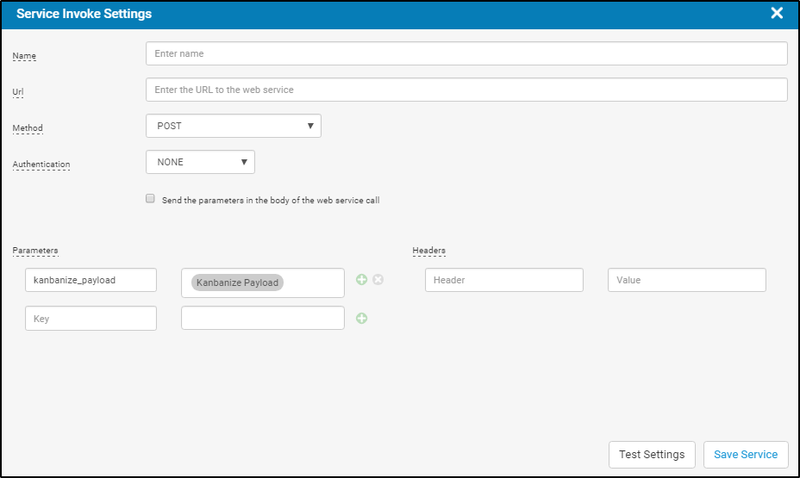 To enable the rule-> click on the green check mark at the top right corner of the configuration panel. With the red x-sign you can cancel the rule creation.